Cells and organisms must maintain cellular quality control during adaptation to environmental and physiological changes. One way they do this is through the activation of the heat shock response via the transcription factor HSF1, leading to increased expression of heat shock proteins which are involved in maintaining protein homeostasis. We are interested in the molecular mechanisms of HSF1 activation. 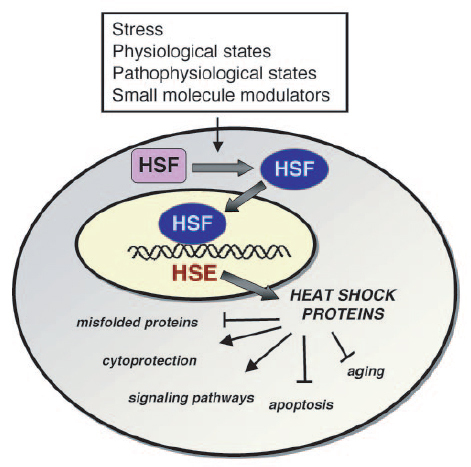 Heat shock proteins have been linked to various disease states including neurodegenerative disease and cancer. We are investigating how the heat shock response can be regulated to provide therapeutic benefit for these diseases. Our investigations use cultured human cells and C. elegans as model systems.